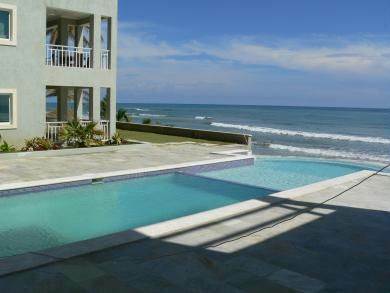 Gorgeous, spacious, high quality, fully outfitted, terrific location, ocean views to die for and mountain views as well, yes, this beachfront apartment has everything for a luxurious beachfront lifestyle. Easy to rent due to proximity with grocery store, restaurants/bars, casino or enjoy the gracious easy living opportunity for yourself. The owner can't come live in this brand new unit as planned and is sacrificing with a $30,000 furniture package included. The best building (sold out) and best unit; don't miss this.